Currently, influenza typing in clinical practice is performed using an immunochromatography method based on antigen-antibody interaction. Two Pore Guys, Inc. today announced that the company has received a $2.8 million grant from the Bill & Melinda Gates Foundation to develop sensitive, low-cost molecular diagnostic tests for tuberculosis using its solid-state nanopore technology. Laboratory medicine results influence a high percentage of all clinical decisions. Patients and doctors expect that different laboratories, using different methods, will give the same result for an analyte measured in a clinical sample. Beckman Coulter Life Sciences now offers its largest portfolio of single color CE-IVD and ASR (analyte-specific reagent) conjugated antibodies. Beckman Coulter Life Sciences continues to expand its portfolio of clinical flow cytometry solutions with its latest innovations ranging from portfolio extensions to its range of single-color antibodies, high quality IVD panels and customized solutions. In a new SLAS Discovery article, Helen Yu and a team of researchers at Gilead Sciences, Inc. present a time-resolved fluorescence resonance energy transfer-based Bruton's tyrosine kinase occupancy assay that can measure target engagement in peripheral blood mononuclear cells and in lymph-node and bone-marrow samples. Using shotgun DNA sequencing, Cornell University researchers have demonstrated a new method for monitoring urinary tract infections that surpasses traditional methods in providing valuable information about the dynamics of the infection as well as the patient's biological response. Detecting biomolecules, such as lipids, proteins, and nucleic acids and their interactions in heterogeneous biological samples is crucial for understanding a multitude of biological mechanisms in health and disease. Porvair Sciences announces a new easy-to-use 96-well Supported Liquid Extraction (SLE) microplate designed for high recovery extraction of analytes from biological fluids. 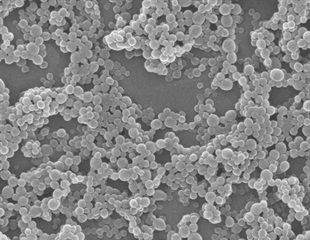 Using the Porvair SLE plate high analyte recovery, free of proteins and phospholipids, is routinely obtainable without the need for offline steps such as protein precipitation.